Why do UREMCO’s remanufactured fuel injectors work like new? We use the best quality cores for the remanufacturing process. We remove all dirt, grease and carbon deposits from the outside of the injector body. We replace all “o” rings, damaged pintles, and filter baskets. We stringently test all injectors for leaks, resistance maintenance, consistent spray pattern and flow rate. 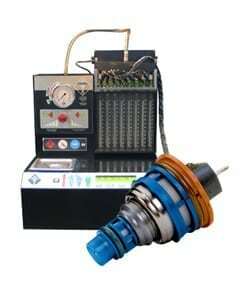 We make sure that all internal components of the fuel injector meet or exceed OEM specifications.